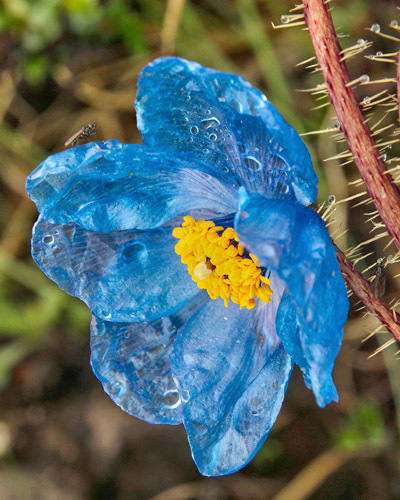 Among the high alpines which we saw were a couple of the fabled blue poppies, M. bella and M. horridula, the latter pictured here. 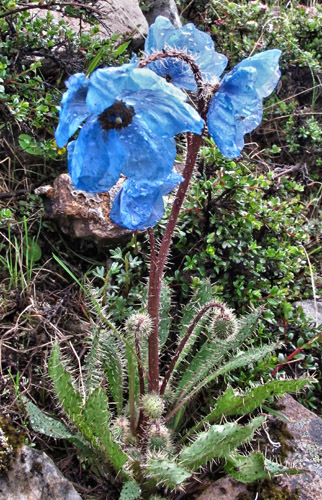 When we have managed to flower this in the garden, it has often had flowers of a rather dull colour, but these, growing at around 4,400 metres (14,500 ft) were intensely blue. M. horridula is a very variable species, and other names such as M. racemosa, M. prattii are often included with it. 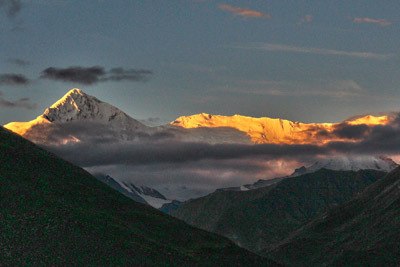 Christopher Grey Wilson states in his book that the best forms are found in Nepal, and that "it is one of those plants I would walk a thousand miles just to see". The plants here were growing on a very steep slope, along with M. bella, Corydalis, Anemone demissa (a beautiful deep rose colour which Ron McBeath tried but failed to introduce), and many other interesting plants.